Despite their inspired performances on the first two days, team Australia have dropped out of the top ten to number 11 on the medal standings, thanks to a day of gold-less results. This on the day that disgraced cyclist, Michael Gallagher was due to lift the team going for his third consecutive Paralympics games win in the 4km individual pursuit. Gallagher tested positive for the banned substance EPO and was promptly sent packing, putting paid to any dreams of Olympic glory he may have had. Australia currently has a total of 18 medals, three of them gold, and 7 silver. The third day offered significant opportunities to add to the gold medal tally after which the team walked away with five more silver and two bronze medals. 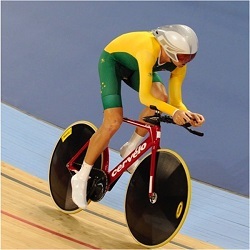 For the silver medals, the action took place at the Olympic stadium where 1500m runner Deon Kenzie came in second place in his sole event as part of his T38 class. The Aussie improved on his previous performance at last year’s world championships where he took bronze. In his race, Kenzie came in less than a second behind the winner Abbes Saidi of Tunisia. Three of the silver medals came out of the velodrome where Amanda Reid took second place in the women’s C1-2-3 500m time trial. Kyle Bridgewood also made his mark narrowly missing out on gold in the men’s C4 4km pursuit. Alistair Donohoe earned his maiden medal in the C5 4km pursuit, the same event where his good friend Michael Gallagher was favoured to secure gold. In the swimming pool, Queenslander Blake Cochrane failed to meet his personal best time, winning him a silver medal. However, the 25-year-old admitted that he was always going to be racing for silver against star newcomer, Carlos Serrano Zarate from Colombia. The Australian was happy with the result but a little disappointed in his time. Cochrane’s time at nationals was a full 1.5 seconds quicker than in Rio. The athlete explained that it was a bit disappointing to put in 6 months of hard work in order to improve and not to achieve a better time. Finishing six seconds ahead of everyone else, Carlos Serrano Zarate is due to undergo reclassification testing next year. This could potentially move him out into another class. Australia is hoping to push their way back into the top 10, and with only a few days to go, only time will tell if they have what it takes to do so. 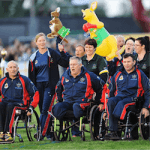 Australia Selects Team for 2017 Invictus Games From a field of almost 80 nominations, Australia has selected 53 athletes for the national squad to compete in the third Invictus Games ….